Assistant Professors Chloe Arson and Phanish Suryanarayana are among the latest recipients of Early Career Development awards from the U.S. National Science Foundation. Among the most-prestigious of awards for junior faculty, the five-year grants, known commonly as CAREER awards, will allow Suryanarayana to develop a system to discover and design new kinds of nanostructures while Arson will pursue work to better understand damage and healing mechanics in rocks. Giving back Bill Higginbotham, B.S. 1976, and his wife, Elizabeth, have created a new named professorship in CEEatGT this spring. Higginbotham said he wanted to make a gift to address the School's biggest need: attracting (and retaining) some of the nation's top scholars. ‘Reprogrammable’ origami Glaucio Paulino’s research team has come up with another new origami tube structure. This time, it’s a reconfigurable tube that could have applications as a multi-frequency antenna or structures from the nano scale to building size. 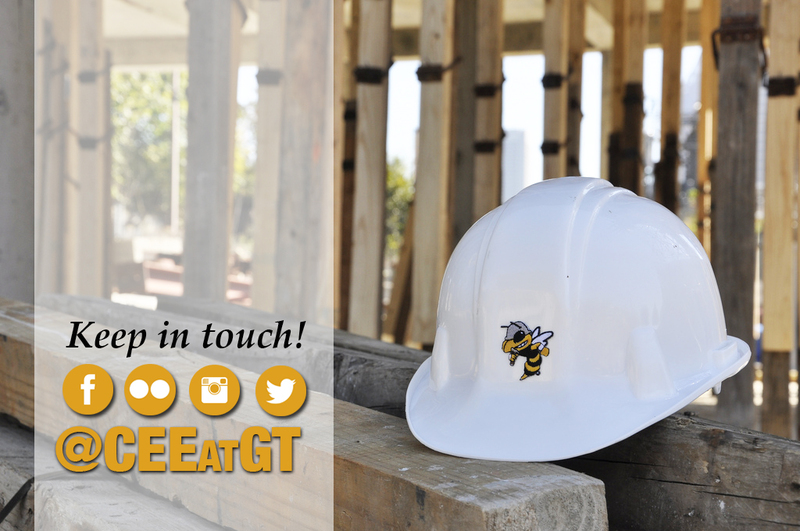 I am CEEatGT A new video series is helping prospective students understand what it’s like to be a civil or environmental engineering major. Timed to the beginning of college decision season for high school seniors, the five videos will continue to debut Thursdays through Feburary 4. New Buchberg Scholar Simpson Gumpertz & Heger has selected Andrew Melissas as the 2016 Buchberg Scholar. The award helps pay for the remainder of Melissas’ degree. It’s named for a young CEEatGT alum who died a few years ago. Kuhlman Scholar Ph.D. student Natalia Cardelino has won the Kuhlman Scholarship from the American Concrete Institute’s Georgia Chapter. In her second year of graduate work, Cardelino is studying ways to improve the sustainability of concrete. Dual fellow School Chair Reginald DesRoches is now a fellow of the American Society of Civil Engineers and the society’s Structural Engineering Institute. The two honors recognize DesRoches’ professional accomplishments and his place among the nation’s most-distinguished civil engineers.